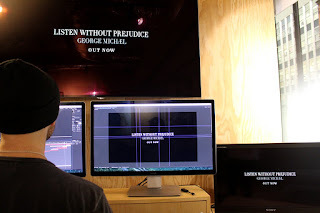 To promote the re-release of George Michael's 'Listen Without Prejudice' album, Sony Music has unveiled a powerful series of black and white films, which both challenge viewers to confront their own preconceptions and celebrate the musician's contribution to culture and life. The ads were revealed during the Channel 4 premiere of 'George Michael: Freedom'. Sony worked with Trailer Park on the integrated campaign which draws on Michael's non-conformist, confident and often controversial style. "Throughout his career, George Michael always set the bar high both musically and visually," said David Austin, Michael's manager. "Perfection was always the benchmark and this was no great secret. The split second I saw the Trailer Park creative I was sold and there was no going back. The team have delivered a beautiful piece of art that captures the true spirit and integrity of George's original 1990's 'Listen Without Prejudice' campaign. It has exceeded our expectations in every way. No small feat in the world of George Michael. He would have absolutely loved it." Trailer Park has developed further assets across TV, print, outdoor, digital and social which will launch on Friday 20 October.